An effective exhaust-hood cleaning program reduces damaging build-up of cooking grease and smoke in commercial kitchens. 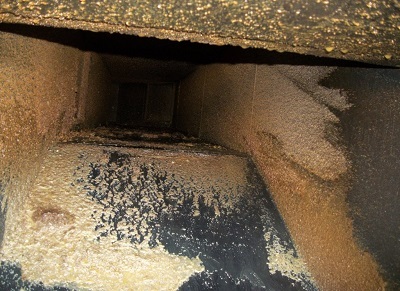 UFES improves commercial kitchen safety and code compliance with expert cleaning of hoods, ducts, fans and filters. A powerful, chemical degreaser is used that is specifically formulated to degrease exhaust hoods, filters, ducts and fans and is safe on all hood systems and materials. Your kitchen exhaust will be left clean and polished. Our team comes in during your off hours so your kitchen exhaust is ready for operation when your guests arrive. Our goal is to leave your kitchen spotless without disrupting your normal flow of business. Call us at 055-789 2629 to schedule a time that is convenient for you and your business. Our company takes every precaution to ensure work areas are thoroughly protected. Our staff hangs plastic around the base of the hood and over all appliances so water, grease and debris extracted during the cleaning process are diverted to appropriate containers and drains. Fans are opened and cleaned on the inside and out, the rooftop directly surrounding the fan is cleaned and rinsed to ensure grease removed from the fans is not left on the roof. 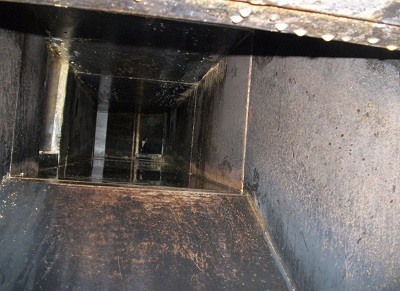 All accessible areas of the ducts are cleaned from the roof down and from the hood up. Floors are swept, scrubbed and mopped after every service. UNIQUE FOODSERVICE EQUIPMENT SOLUTIONS is also happy to provide cleaning services for your precipitators.